Of late, Indian companies have proved their wisdom and potential across the globe in a multitude of business segments. Pharmacy is not an exception to that. India has gained prominence as the breeding ground for some of the most prestigious pharmaceutical companies. There is something pulchritudinous about this country of sages and Ayurvedacharyas (ancient doctors) that can still be found in our genes. We live in a country which exports medicines worth billions of dollars to numerous countries worldwide. Among a plethora of such companies, certain companies have done exceptionally well when taken into consideration their scale and challenges. 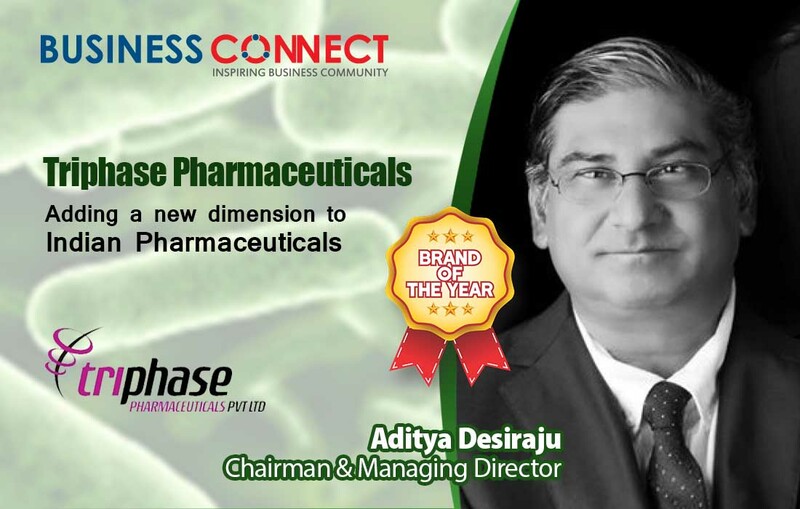 Triphase Pharmaceuticals is one such company that has traversed a long way since its inception. It was conceptualized and founded in 2006, primarily as a services company, doing routine peptide chemistry work for others including creating molecules as precursors widely known as n-1 step. The Chairman Mr Aditya Desiraju, an Automation Engineer from the Oil Industry and his wife Dr. Shrilakshmi Desiraju, a natural product chemist decided to move back to India from Canada after 15 years. In 2009 the CRO business was going great guns. During this time, they realized that Probiotics was the next big thing. They started experimenting with various species of live bacteria. Triphase zeroed in on the Lactobacillus species as these are the most commonly used bacteria in the Industry and also residents in our digestive system. With the right kind of nutrients, these tiny guys do wonders in our system when consumed in known quantities, but they require a protective cover, termed as encapsulation and requires to be refrigerated to maintain their viability.Currently the industry adds 200-300 times the required amount just to meet label claims.The industry still uses spore formers such as Bacillus Coagulans as they are heat resistant as High Temperature stable Lactobacillus species were not available. Triphasehopes to change that.The digestive system is also linked with our brains termed as Gut-Brain axis. The idea blossomed into a kind of feverish desire to overcome these very expensive market pains. The company worked extensively for 3 years to fix some of these issues. Triphase Pharmaceuticals and the team went on to make a huge difference by addressing and solving 90% of the market pains associated with manufacturing of Probiotics. First of all, the company solved the temperature issue by converting Lactobacillus acidophilus and Lactobacillus plantarum into a high temperature stable strain that was able to withstand temperature up to 240 degree Celsius inherently. This could be achieved with its unique, novel and patented TSP platform process, wherein the cold chain was entirely eliminated and was able to demonstrate the stability up to 18 months at room temperature. Adding to that, it made these strains pH stable, where these strains could survive the gastric juice in the stomach. The strains are also non-genetically modified. The company managed to reduce the fermentation time between 8 to14 hours per batch thereby saving up to 30%-40% in costs for utilities, HR costs and media. Triphase has already created 4 more high temperature strains that can be easily incorporated into any food matrix or be used in a dietary supplement without the requirement of additional Capital expenditure. Despite several hindrances, the company has been able to run its business quite successfully. The Industrial area where the company is set up lacks the basic requirement. Inconsistent water and regular unannounced shutdown of power have posed challenges many times. Still, the company is focused to bring the best out of its rich expertise. The company is in talks with a couple of major players in this field to close an out Licensing deal. It has laid out concrete plans to carry out large R&D projects for prospective clients who would want to convert their existing lyophilized or freeze dried probiotic strains in to High temperature stable strains. The patent value of the company currently sits at approximately 50 plus million US Dollars. The other patents when granted will mean to add a whopping 150-200 million USD to the kitty. The company has had a client base that mostly includes multinational companies such as Glaxo Smith Kline and some large distributors from the US. Triphase is hoping to add some prestigious companies to its client base such as Pfizer and PepsiCo who are moving towards the healthy food segment. Apart from this, Triphase is in talks with CHR Hansen, Deerland Enzymes and probiotics and Probi as well. Triphase is also collaborating with companies to introduce Probiotics into coffee, cookies, biscuits, bread, dinner rolls, baked pastries, chocolates, gummies in the premium category to be introduced inthe hospitality Industry, Airlines and duty free. After an arduous phase of struggle, the company has established itself as one of the biggest brands in this domain. Its current branded products are Floracid™(Digestive health and immunity) Provasic™ (Cardiovascular Health and Cholesterol reduction), ReAlign™ (Digestive health) and DentaPro™(Oral Health). Triphase plans, designs and develops its R&D protocols and its experiments carefully. It always has product safety, compliance with regulatory guidelines and principles as laid out by the USFDA and Health Canada in mind. A market feasibility report and a commercialization plan is always part of its project dossier. Unless the company exercises these processes in the project initiation stage, it cannot deliver a world class product. With regards to security, it follows the utmost care in securing scientific data on all experiments conducted. Not a single individual is allowed to work on a single project. The individual is given only one part of the experiment where the other team member has no clue. All the products are branded and trademarked and each carries intellectual property value. Product packaging design incorporate built in security features that cannot be replicated or copied. Products carry the required labelling information such as medicinal ingredients, non-medicinal ingredients, supplement size, delivery method, dosage, storage conditions, supplement fact panel, warnings and allergen statements and necessary disclaimers. During a candid chat, Mr Desiraju talked about the policies that need to be implemented in order to help the pharmaceutical companies better their R&D. He says, “We need a robust and strict body such as EFSA or Health Canada to help guide and fix this issue. We have to work as a team for this to happen”. India is producing cheap affordable generics under deplorable conditions with no scientific credentials or clinical trials. In India, poverty is considered a blessing in disguise for citizens intending to use their economic condition to their advantage. Triphase is working towards developing and marketing their products at an affordable and competitive price still adhering to International standards and backed by proven scientific methods. It aims for life-saving medications with minimum side effects at an affordable price. After 3 years of filing the PCT and office actions, The USPTO (United States Patent and Trademark Office) granted it a US patent on August 28, 2018. Triphase is flooded with patents including a Canadian, European Union (all states) and Indian which are currently in prosecution stage thereby increasing the valuation of the company. Apart from this, Triphase’s Floracid™ and Provasic™ are approved by Health Canada and have been assigned numbers by the NHPD. It is also an USFDA registered food facility and will shortly receive a foreign site registration license by Health Canada. Triphase also has received FSSAI licenses to manufacture probiotics and distribute them as well. Triphase was featured by NDTV as a recipient of the India small giant’s award. Triphase was represented by Dr.Shrilakshmi Desiraju to pitch before at IIM Ahmedabad. She came out as the winner and recipient of Power of Ideas award by CIIE. Mr Desiraju was selected and invited by the Royal Academy of Engineering from a huge group of Innovators from India to participate in the LIF program for 10 days in London, UK. Triphase has plans to acquire land in Mysore, many thanks to the authorities who turn a deaf ear, but it has not stopped looking. The aim is to begin with the construction of one of the best state of art R&D centers and a world class manufacturing center that can cater to a minimum 60-80 MT annually. Triphase is also thinking in the terms of an IPO in a few years. Probiotics Market is expected to garner approx. $57.4 billion by 2022, registering a CAGR of 11.7% during the forecast period 2012-2022. It expects to gainfully employ skilled staff and very experienced, trained and talented scientists to think out of the Box. As this requires a very clean and hygienic requirement, Triphase will automate the entire manufacturing, formulation suite 100% by incorporating IOT and AI in combination. This is being done to produce the best quality probiotics as a make in India Initiative by our honorable Prime Minister, Shri Narendra Modi. Mr Aditya Desiraju is an Instrumentation and Automation Engineer. He completed his Diploma in Electronics & Telecommunication in Mysore, Bachelor’s degree in Electrical Engineering & Master of Science in Electrical Engineering from White Lake University and California Hill, USA. He has been associated with the Oil & Gas Industry for almost 27 years in various countries beginning in India, Malaysia, Middle East and Canada with large companies such as Shell, Saudi Aramco, ADNOC, GASCO, KNPC, Bechtel, Technip. He moved to Canada in 2001 and worked in various positions such Site Lead, Automation Engineering Lead and Project Lead for CoSynTechnology, Bantrel, Colt Engineering, UMA-AECOM, AMEC and Worley Parsons in Edmonton, Fort McMurray and Calgary. At Triphase, he manages all Legal, Regulatory, Contracts, IP, all Projects and Engineering & GMP/GLP design for new plants. 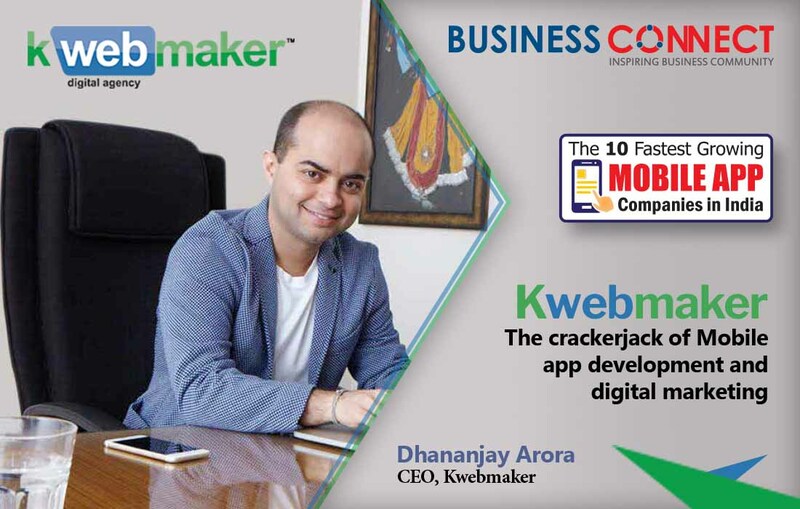 He is also the first named Inventor on the patent, member and Certified Independent Director by the IOD. Triphase has done a great job. It’s persistent right approach has reaped the benefits. It is a feather in the cap of Mysuru and India is again on the global picture. Pity is it is finding difficulty in marketing the products in India. Hope the Government will pave way for its availability for the benefit of Indians in India.